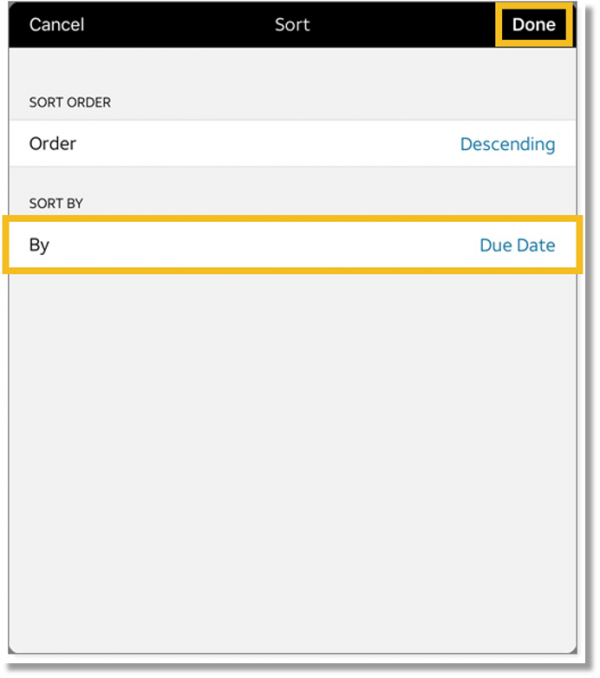 Use sort to reorganize how your content appears to you. You can sort all content by rank, title, modified or created date, and author. 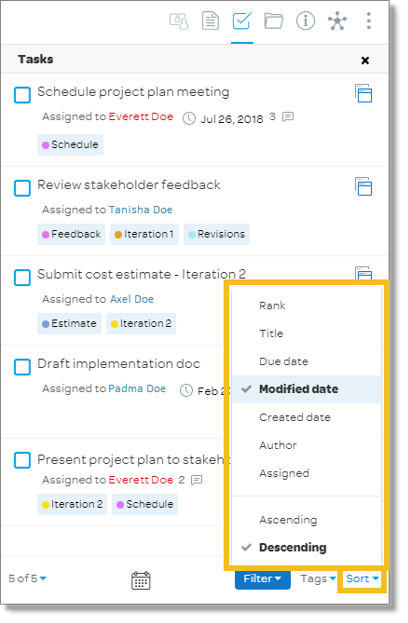 You can sort tasks by due date and assignee. In the panel at the upper-right, click the Notes, Tasks, or Files icon, depending on the type of item you want to sort. A list of notes, tasks, or files appears. At the bottom of the content items tab, click Sort. The Sort menu appears. Select how you want to sort the content. In the panel at the upper-right, tap the Notes, Tasks, or Files icon, depending on the type of item you want to sort. A list of notes, tasks, or files appears. At the top of the content items tab, tap the Sort icon . In the Sort window, select how you want to sort the content.